As a little boy living in northern Italy, Andrew Basso always had the dream of escaping "the ordinary life." And now as one of The Illusionists, escaping is quite literally what he's doing. Opening Tuesday night at the Bushnell Center for the Performing Arts, Basso will perform with a group of seven illusionists as the escape artist. The varying skills of the illusionists bring an array of entertainment elements to the show. Basso goes by The Escapologist. Think Harry Houdini trapped in a water tank, hanging upside down. Basso does a similar "full view water torture cell," but he said he adds a few elements that make it more difficult and "more actual for the audience." There's no curtain, so the audience sees all. "I don't put any covers, so I'm not hiding any trickery or illusion. I need to escape if I want to save my life," Basso said. 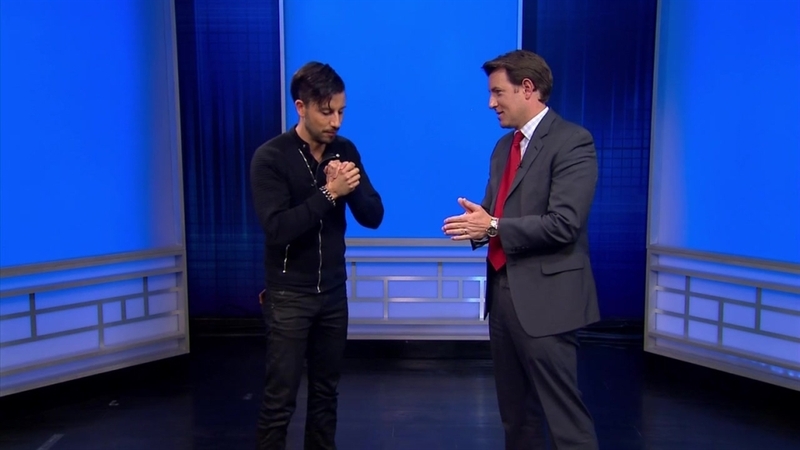 Just last week an escape artist who is friends with magician Criss Angel nearly drowned during a water tank stunt in New Jersey. When asked if he has the fear of that happening to him during his stunt, Basso said, "Yes, every time. Because every time can be the last one." "I try to avoid all the dangers through my skills," he said. "It's for professionals only." Other acts include The Anti-Conjuror, The Manipulator, The Inventor, The Trickster, The Weapon Master and The Dare Devil. "Each one is a world champion in his own specific field," Basso said. "They are different figures that will fit the tastes of the whole family, the whole audience. The little kid, the grandparents. It's quite difficult. If you go to a concert of Justin Bieber, it's quite difficult to have a common topic. So I think it's quite unique as an experience for them." The show was created three and a half years ago at the iconic Sydney Opera House in Australia about three years ago. It came to the U.S. in November, making its debut in the country on Broadway and now touring the country. "It has a very high rock concert energy, so I really think younger people will love it," Basso said. "You don't have the musician with the classical music coming out or the tuxedo. There is a taste for everybody. There are very high, intense dramatic moments. There are very funny moments. There is audience involved. So, it's a very interactive show. We have giant screens on stage so even the smallest trick that is done on stage can be appreciated in the last row of the theater." They're called the illusionists, so what distinguishes them from magicians in the trade? "We wish we magicians. Illusionist, it's like a more generic word to bring all the abilities we all differently have. Also the stuff we do is real. The skills are real," Basso said. "Maybe we create the illusion of something, but we spend our life too to develop the real skill." The show opens Tuesday night and runs in Mortensen Hall at the Bushnell from Sept. 22 to 27. More information about the tour is available on The Illusionists website, www.theillusionistslive.com. Ticket information is also available on The Bushnell website, www.bushnell.org.